After eight years, the Abigail Fisher case finally has been put to rest. In a landmark judgment on June 23, the U.S. Supreme Court upheld the constitutionality of race-conscious affirmative action in university admissions. Abigail Fisher, a white woman, had sued the University of Texas at Austin (UT Austin) for its race-conscious admissions policy after she was denied admission. She had argued that the university violated the equal protection clause of the Fourteenth Amendment. Supporters of race-conscious admissions programs are understandably gratified. But has the case resolved the larger moral and political disagreements over affirmative action? And they did so after the 2003 decision in Grutter v. Bollinger, when the high court again ruled that race-conscious affirmative action was constitutional. We are scholars who study affirmative action, race, and diversity in higher education. We believe that the disagreement about affirmative action will not end anytime soon. 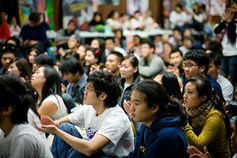 And it may well center on lawsuits on behalf of Asian-American college applicants. Through his organization, the Project on Fair Representation, Abigail Fisher’s advisor, Edward Blum, is currently engaged in a lawsuit challenging Harvard University’s race-conscious admissions policy. What is different about the Harvard lawsuit is that the lead plaintiff in the case is not a white student. The plaintiff is an Asian-American student. “Students for Fair Admissions,” an arm of the Project on Fair Representation, filed a suit against Harvard College on November 17, 2014, on behalf of a Chinese-American applicant who had been rejected from Harvard. The lawsuit charges that Harvard’s admissions policy violates Title VI of the Civil Rights Act of 1964, which bars federally funded entities from discriminating based on race or ethnicity. 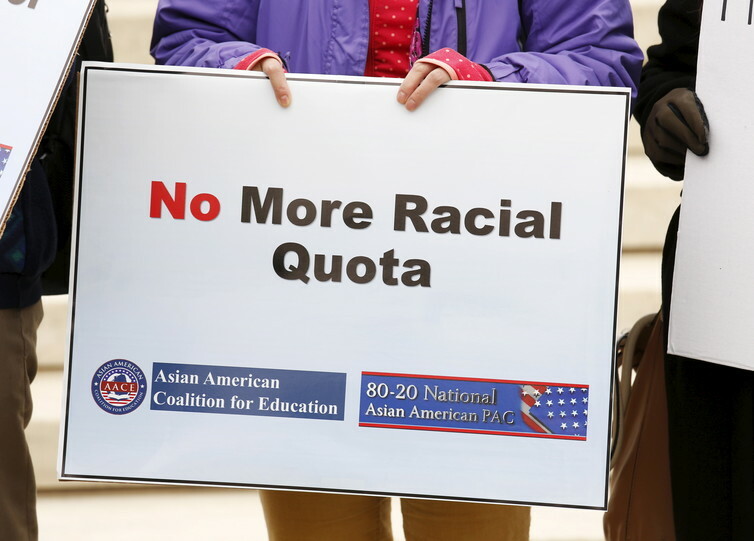 This controversy over how Asian-Americans are being treated in selective college admission was jump-started in 2005, when sociologists Thomas Espenshade and Chang Chung published findings from their study on the effects of affirmative action bans on the racial and ethnic composition of student bodies at selective colleges and universities. Espenshade and Chung found that if affirmative action were to be eliminated, the acceptance rates for black and Latino applicants would likely decrease substantially, while the acceptance rate for white applicants would increase slightly. But more than that, what they noted was that the acceptance rate for Asian-American applicants would increase the most by far. Such research has been cited to support claims of admissions discrimination against Asian-Americans. In the complaint against Harvard, Espenshade’s research was cited as evidence of discrimination against Asian-Americans. Specifically, the lawsuit cited research from 2009 in which Espenshade, this time with coauthor Alexandria Radford, found that Asian-American applicants accepted at selective colleges had higher standardized test scores, on average, than other accepted students. These findings, especially that Asian-American applicants seem to need a higher SAT score than white applicants or other applicants of color in order to be admitted to a selective college are being used as proof that elite institutions like Harvard are discriminating against Asian-Americans in their admissions processes. As we know, selective admissions processes are much more complicated than SAT score data can show. There are many factors that are taken into consideration for college admission. For example, in the “holistic” admissions processes endorsed by the Supreme Court in Grutter v. Bollinger, standardized text scores are not the only, or even the main, criterion for admission. “Holistic” review takes many relevant factors into account, including academic achievement, of course, but also factors such as a commitment to public service, overcoming difficult life circumstances, achievements in the arts or athletics, or leadership qualities. So, why would the plaintiff in the Harvard case conclude that the disparities in SAT scores shown by Espenshade and Radford necessarily indicate that Asian-American applicants are being harmed by race-conscious affirmative action? Legal scholar William Kidder has shown that the way Espenshade and Radford’s findings have been interpreted by affirmative action opponents is not accurate. The interpretation of this research itself rests on the faulty assumption that affirmative action is to blame if an academically accomplished Asian-American applicant gets rejected from an elite institution. In our opinion as well, focusing on simplistic ideas about standardized tests as the primary evidence for who “deserves” to be admitted to elite institutions like Harvard may serve to stir up resentment among accomplished applicants who get rejected. As the “Harvard Not Fair” website and accompanying lawsuit demonstrate, these findings have been used to fuel a politics of resentment among rejected Asian-American applicants. When speaking with reporters, Espenshade himself has acknowledged that his data are incomplete – given that colleges take myriad factors into account in admissions decisions – and his findings have been overinterpreted and actually do not prove that colleges discriminate against Asian-American applicants. Moreover, in using images of Asian-American students to recruit complainants against Harvard and other highly selective institutions of higher education, the Project on Fair Representation relies on the idea that Asian-Americans comprise a monolithic group. 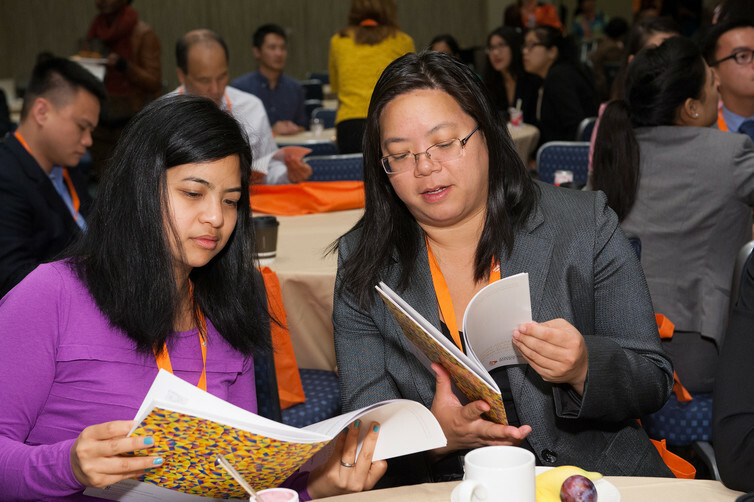 In fact, the term “Asian-American” refers to a diversity of Asian ethnicities in the United States, whose educational opportunities and achievements vary widely. In addition, by casting plaintiffs as meritorious and deserving of a spot at an elite university, it also conveys the stereotypical received wisdom about Asian-American “model” students who are wronged by race-conscious affirmative action programs. At this time, Students for Fair Admissions v. President and Fellows of Harvard College, filed in the United States District Court for the District of Massachusetts, is pending. Now that Fisher has been decided, this case is the next front in the divisive politics surrounding race-conscious affirmative action in higher education admissions. Relevant to the Harvard case is that a civil rights complaint alleging that Princeton University discriminates against Asian-American applicants was dismissed in 2015 after a long federal Office of Civil Rights investigation. Although public disagreement about the policy continues, affirmative action is an imperfect, but as yet necessary tool that universities can leverage to cultivate robust and diverse spaces where students learn. June 23’s Fisher ruling underscores that important idea. Related to the coming public discussions about the Harvard lawsuit, we are of the opinion that race-conscious policies like affirmative action need to be supported. The fact is that “Asian-Americans” have diverse social and educational experiences. And many Asian-Americans benefit from affirmative action policies. ← Nice attack: how vulnerable are we to ‘low-tech terror’?